AMP RESEARCH is an American design and technology company, located in Tustin, California, that invents, builds and markets products designed to improve the function and utility of cars, light trucks and SUVs. The companyÃ¢? ?s motto, Ã¢?ÂInnovation In MotionÃ¢?Â¢Ã¢?Â captures the eclectic mix of breakthrough products AMP Research has brought to the market since its founding in 1980. Check out the Recently Listed Running Board and Side Step Install Kits. 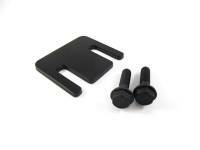 Check out the Recently Listed Truck Bed Extenders and Components. Check out the Recently Listed Truck Steps and Components. October 4, 2013 Ã¢?? Lund International Holding Company, a portfolio company of Highlander Partners, L.P., today announced it has acquired all of the operating assets of AMP Research. AMP, based in Tustin, California, is the leading provider of automatic power articulating running boards, bed steps, bed extenders and related products. Lund will continue to use the trademarked POWERSTEPÃ¢?Â¢, BEDSTEPÃ?Â®, BEDSTEP2Ã¢?Â¢ and BEDXTENDER HDÃ¢?Â¢ product names included in AMPÃ¢? ?s Innovation in Motion product lines. The current Tustin location will continue to be the primary manufacturing facility and AMPÃ¢? ?s current workforce will join the Lund International team. AMP RESEARCH is an original-equipment supplier of unique car and truck accessories for Chrysler, Ford, GM, Honda, Hyundai, , Mazda, Mercedes-Benz, Mitsubishi, Nissan, Subaru, Suzuki and Toyota. 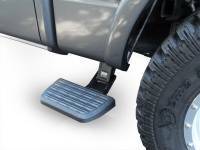 Automotive accessory products designed, manufactured and marketed by AMP Research include PowerStepÃ¢?Â¢ running boards, BedStepÃ?Â®, BedStep2Ã¢?Â¢ truck bed access steps, BedXTender HDÃ¢?Â¢ cargo cage for pickup trucks and AMP Research alloy fuel doors. AMP Research holds over 45 US and International patents for automotive and transportation related products.